Lt. Commander Joshua Manson's focus on his career has taken him to many places, just not the one he has always dreamed of going: space. His sometimes controversial methods during missions have given him the reputation of being a soldier who doesn't always play by the rules. 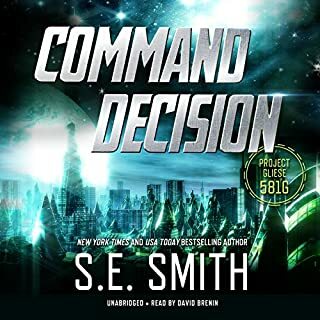 A challenging mission leaves Josh questioning if he'll have a career at all, so he is surprised when he is offered the chance to command a mission in space to investigate an unknown object. The more he learns, the more determined he is to lead it. NOT A STAR WARS STORY!!! A lush, tropical island on an icy planet makes no sense. Then again, not much makes sense anymore after waking up and finding myself not in bed but on a strange world populated by aliens. Since that moment, I've learned that nothing is normal anymore and I've got to roll with the punches. I can handle this, though. I'm strong and capable. So...washed up on a tropical island? Got it handled. Stranded alone with a brutal but delicious alien man that can't speak English but has great...ahem...body language? Yup, handled. Story was awesome, less than impressed with narrators. Ha'ven Ha'darra is the Crown Prince of the Curizans, an advanced species known for their technology. They may not have the power to shift like the Valdier or the Sarafin, but they have hidden powers of their own that they closely guard. Not even his best friends, Creon Reykill of the Valdier or Vox d'Rojah of the Sarafin, are aware of the powers he holds within his deadly frame. Rennek is an honor-bound male whose very existence in life is tarnished by the sins of his father. When he and his crew stumble onto a trafficking ring his immediate instinct is to rescue the females. He finds himself drawn to one of them, setting in motion a dangerous course of events propelling him towards his destiny. Can Rennek be the leader his people need him to be as the secrets of the past are uncovered? Joran, Crown Prince of Pyros, needs to claim his mate in order to ascend to the throne one day. The problem? His destined mate isn’t on Pyros. 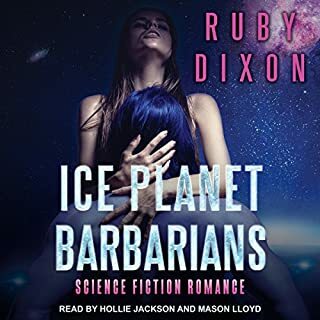 When a galaxy-wide search uncovers a backwater world full of potential mates for Joran and the other unmated males on his planet, plans are set in motion and Star-Crossed Dating is created. Now, the first wave of men are on their way to claim their unsuspecting brides. Joran’s mission: Go to Earth, claim his mate, and bring her back to Pyros. How hard could it be? Radek is a prince with a problem. He wants to see the galaxy, but an ancient law forbids any member of the Romaki Dragon Clans from ever leaving their planet. So, what’s a Romaki Snow dragon to do? Defy the law, hop a ride with a friend, and head for the far side of the galaxy, that’s what. As the Pyrosians prepare to claim their mates, all Radek has to do is sit back, enjoy the party, and keep one little promise - no shifting into a dragon while he’s visiting Earth. What could be simpler? Tragedy left Merit as the guardian to two young kits, and he's in over his head. He needs help. He has no time for romance and doesn't think he needs it. He applies to Celestial Mates, willing to take the first available female, even a flat-faced, ugly human. What he gets is a woman whose mind challenges him and whose patience humbles him. You are never too old for love! Pearl is the grandmother most people want to hide. There is one dragon-shifting warrior who is happy to kidnap her. 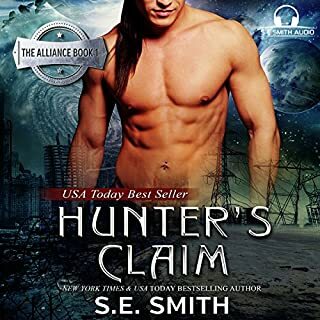 Internationally acclaimed author S. E. Smith presents another scorching hot story sure to become one of your favorites! Asim Kemark has lived a long, lonely life. It is his pledge to his former king and to Mandra Reykill that keeps him, his dragon, and his symbiot from going mad. He has given up on finding his true mate and devotes himself to caring for the wide assortment of creatures on Mandra and Ariel's mountain retreat. The last thing he expects to happen when he visits the palace is to lose control of his dragon and his symbiot after they sense their true mate. Before he knows it, he has kidnapped her! Pearl St. Claire is enjoying a new adventure - learning to live on an alien planet. As a mature woman in her 60s, she thought she had experienced just about everything life could throw at her - only to discover she hasn't really experienced anything yet! 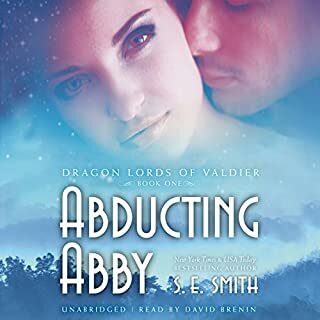 She is both amused and exasperated when one of the dragon-shifting aliens kidnaps her, believing she is his true mate. Life is no longer boring or lonely as Asim courts the enchanting and spirited human woman, but he isn't the only one who has noticed Pearl or the unusual animals under his care. When poachers attack, determined to steal the exotic creatures under his protection - including Pearl and a new clutch of alien eggs from Earth - he will do everything he can to protect them. Can one dragon keep the most precious creatures under his care safe, or will he lose the biggest battle of his life? It appears that this story starts three years after the Easter Asim finds his mate Pearl, then he provides the story for that experience for the benefit of the Dragon Twins. 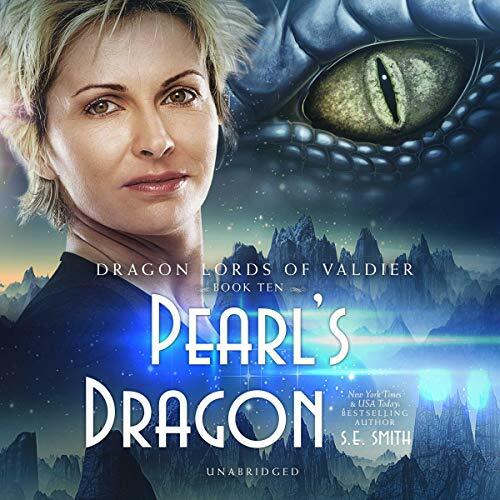 Pearl is recruited to teach Barack and Brogan basic skills for survival on Earth as Aikaterina is giving the Twin Dragons a second chance at life, and to find their mate. Pearl’s rules are hilarious, heartbreaking, and useful. Jaguin and his mate Sara were tasked by Aikaterina to oversee and assist them, with help from Adalard Ha’darra, prince of the Curizan. I strongly recommend reading Twin Dragons and Pearl’s Dragon before Twin Dragons’ Destiny. Brenin is truly the voice for this series. Additional Note: I really like the artwork for this book with a more mature woman, though I doubt she is quite Pearl’s age of 60. Kudos! I have to admit this was really good I wish it could have been longer but it was really good. This story was absolutely delightful! It brought smiles and sparkles to my eyes as I listened to it. Just one question though, what happened to the half dozen eggs after they hatched? We're that dinosaurs or what?? Hey, give us another story including their story too! Just to make it more interesting, add in the twins result in meeting their mate, more of the kids, and oh yea, add in the rest of the crew (good guys only. Leave out the bad one. You can always find new ones, unfortunately.) No kidding, I would love more of them! They gave me a great break in some paperwork that's depressing and got rid of my headache, especially when I could just lay back and thoroughly enjoy having it read to me by someone who's able to adjust their voice to the different characters! Thanks for a wonderful, delightful and enjoyable audio book! OK addition to the series, though not as good as the others. Pearl was one tough cookie but Asim was very patient with her. David Brenin is so funny when does the dragon's or children's voices. He is an awesome narrator. Wonderful Addition to the series. Wonderful story of love between very two different individuals. Suspense, drama, danger, great love and lessons learned. Worth listening to. Good character building and narration. Great narration, my only complaint is Pearl’s voice sounds very much like Melina in book 7. Really laughed out loud at the audible version of this story. The humour comes through really well. BOOK REVIEW Ms Smith has spoilt her readers by including a bonus book about the mischievous, trouble finding, Dragonlings as well. I own and have read both these books before. I first read Pearl’s Dragon in the PETS IN SPACE 2 anthology where I found it enjoyable if not my favourite. The Great Easter Bunny Hunt was a gift from Ms Smith via her newsletter. Rereading these both again I have to admire how Ms Smith makes nonsense and whimsy into a great tale. Nice change to once again have a mature couple be the focus in a story. Pearl is the grandma you will either absolutely love and wish you had or hate to admit to being related too. She is a no nonsense, school of hard knocks lady. She raised Riley and Tina basically on her own whilst running a bar and did a fantastic job. I love her outlook on life and found her softness with Asim wonderful. Asim is a retired warrior. He spends his time in the mountain home of Mandra and Ariel looking after their house and the animals Ariel and their son Jabir collects. When he finally finds his mate in the human woman Pearl, his dragon and symbiot waste no time kidnapping her and flying back to his mountain home. So funny how his dragon and symbiot misbehave. What follows is a good easy read with a bit of action when baddies try to steal the animals, to keep us fans happy. Follow Pearl’s rules and you will do okay.